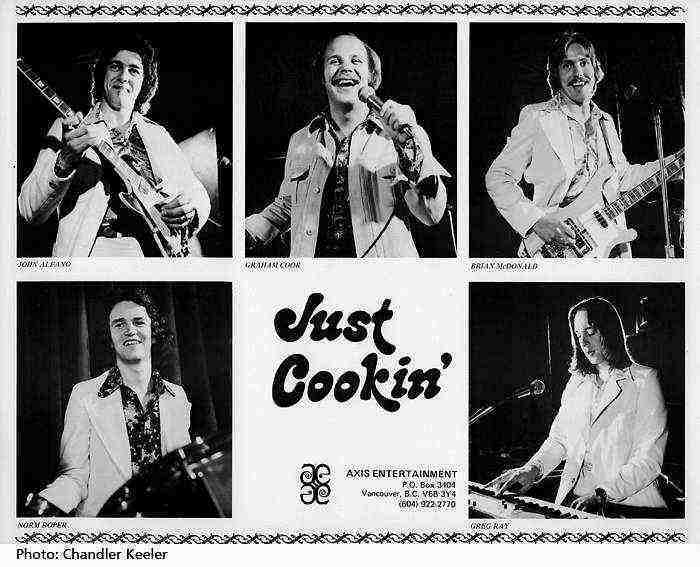 Just Cookin' was Graham Cook ( drums ), Dennis ( the Dude ) Williams ( rhythm guitar ), Greg Haiworth ( lead guitar ) and Brian McDonald ( bass ). We were a very strong vocal band with all four players singing and harmonizing. Graham was the lead vocalist and went on to a career on the Cruise Ships in Mexico. "The Dude" plays in Banff, Alberta during the winter and has made music his life. Greg unfortunately died while working in Alberta on a job site. He had his own blues style vocals and it was sad to see him pass away. We played many dances, clubs and pubs around the Lower Mainland of Vancouver. 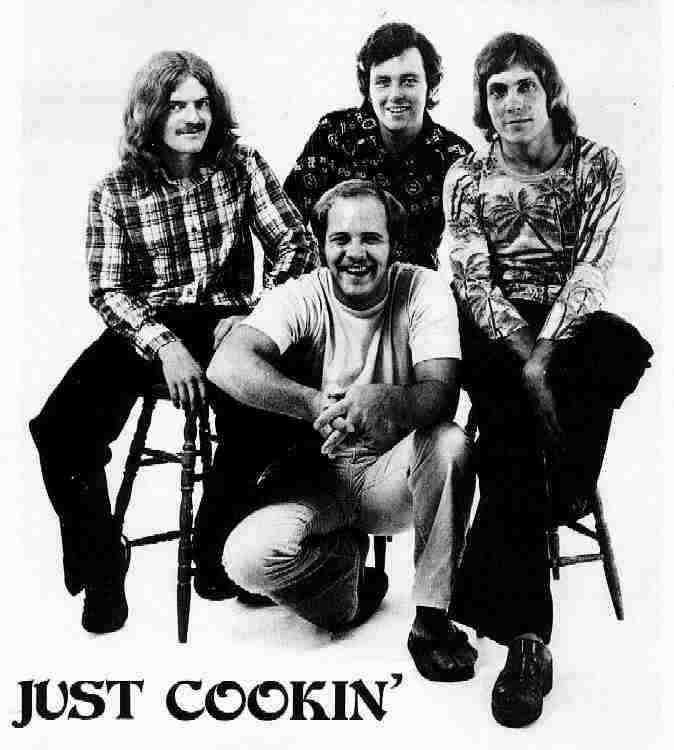 We took a break from playing and reassembled the band in September 1975. The new version played all of the Downtown Vancouver clubs and toured around B.C. We were the house band at the Cave for about two months. 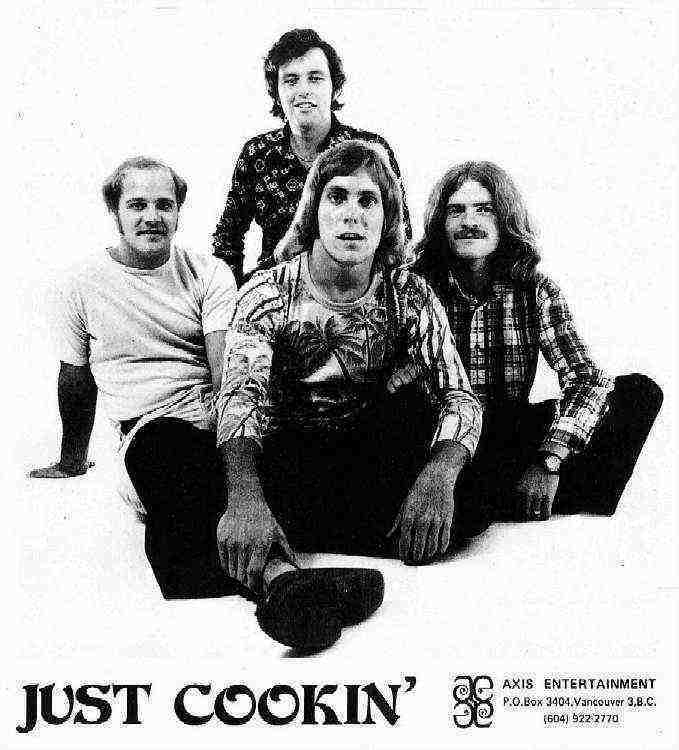 We played until June 1976 and disbanded. Most of the members are still playing but the old days are still very memorable. Thank you (PNW Bands) for your support on this. It has allowed some of us to reconnect with other musicians that we haven't seen for many years.